Alter The Press! 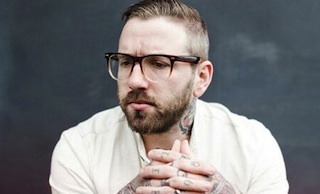 : City and Colour Announce New Album "The Hurry And The Harm"
City and Colour Announce New Album "The Hurry And The Harm"
City and Colour have announced details of their long-awaited new album, The Hurry And The Harm, which is set to be released on June 4th. You can check out the album artwork, track listing as well as a statement from frontman Dallas Green by clicking read more. Today is album announce day and i finally get to share all the fun stuff. I am excited to introduce all of you to my upcoming album - The Hurry and The Harm. The support you all showed, for the first song I shared two weeks ago, "of space and time", was overwhelming. Thank you!!! it means the world to me. I had an amazing time recording The Hurry and The Harm in Nashville this winter. Alex Newport joined me as producer again and I couldn't be prouder of the talented group of guys that joined me. Jack Lawrence played bass (and has since joined me on the road), Matt Chamberlain and James Gadson took turns on drums, Bo Koster worked the keys, Spencer Cullum Jr added pedal steel and both Anthony Lamarchina & Karen Winkelmann contributed to the string arrangement. "I've always been dark, with light somewhere in the distance"
Over the next few weeks more info will continue to follow. For now, I'm very excited to share this with everyone and grateful for all the years we've shared that led to this record."